Recently I was chatting to a gym member who had just finished their workout and bought a protein shake. 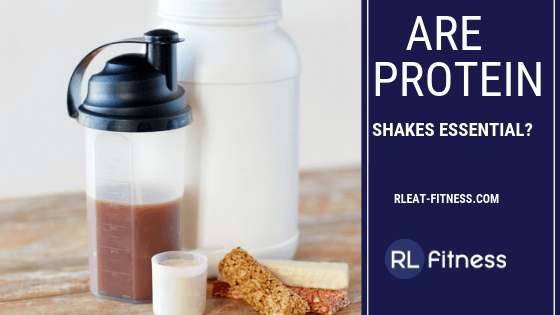 In short… Protein shakes are not essential you don’t have to use them post workout, however, it is a lot quicker and more convenient to have a protein shake post workout than it is to have a high protein meal. The other benefit of protein shakes is that they taste good, and they can be bought in bulk very cheaply, I recommend myprotein. As long as within 2 hours of finishing a workout you consume something high protein it doesn’t really matter what you have. Whether that be a high protein meal or a protein shake. Check out my blog on what to eat after a workout for more info on what to consume post workout. P.S. Have you checked out my ebook 5 ways professionals can burn fat? it provides proven and simple strategies to get you lean for life! This book features recipes for nutritious, quick-to-prepare meals and guides you through my unique approach to training and nutrition. You will learn the simple secret of how to simply combine food and exercise to torch body fat, even if you have a really busy schedule. Get the ebook.